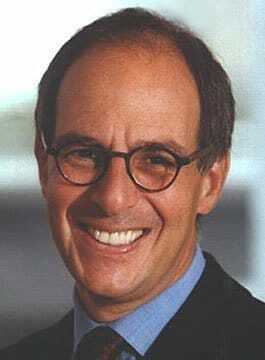 Loyd Grossman was educated at Boston University where he read history before travelling to Britain to study at the London School of Economics. He started his career in the media as a journalist. He was Design Editor for Harpers & Queen and Contributing Editor to The Sunday Times. In succession to Quentin Crewe, Humphrey Lyttleton and Sir Clement Freud, Loyd was restaurant critic for Harpers & Queen for 10 Years. He has contributed to most of the leading British papers and magazines including The Financial Times, The Times and Tatler. He has since presented, written or produced many popular programmes including Masterchef, a competitive cooking programme, Through the Keyhole, a prurient programme examining the homes of minor celebrities. The Dog’s Tale, a documentary series praised by America’s TV Guide as ‘an amazing display of insight and excellence…one of the best series on animals yet made for television”. Other programmes include: The World on a Plate, Conspicuous Consumption, Loyd on Location, The History of British Sculpture and Off Your Trolley. Loyd Grossman has long been associated with the work of museums in the UK, he is a commissioner of English Heritage, chairman of the National Blue Plaques Panel, a member of the Board of Resource (The Council for Museums, Archives and Libraries), chairman of the 24 Hour Museum, chairman of the Campaign for Museums and chairman of The Public Monuments and Sculpture Association. He is also a board member of the Cultural Consortium for England’s Northwest and a trustee of St Deiniol’s Library, the UK’s only Prime Ministerial library. Since 2001 he has been advising ministers on the reform of catering in the NHS as chairman of the Better Hospital Food Panel. In 2003 Loyd received the OBE for services to patient care – especially hospital catering.